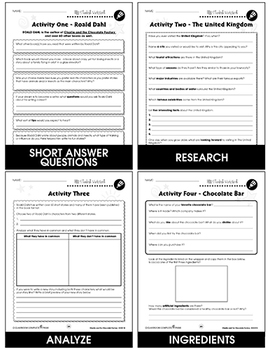 This FREE bonus resource includes extension activity worksheets from our Charlie & The Chocolate Factory - Literature Kit Gr. 3-4 title. 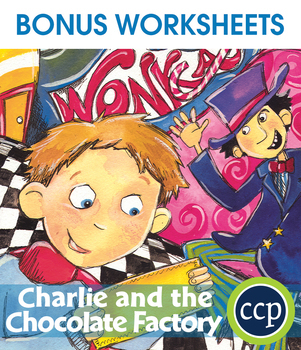 Enjoy 6 BONUS worksheets from Charlie & The Chocolate Factory - Literature Kit Gr. 3-4. These worksheets can be used on their own, or paired with the individual resources as extension activities at the completion of the unit. And the best part is, it's FREE. Written to grade, these activities allow students to expand on concepts presented in the novel. 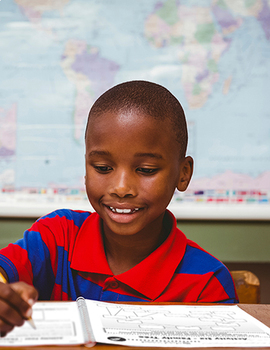 These worksheets are jam-packed with novel-related content all for students in grades 3 to 4. Understand how to overcome one's poor situation with kindness and a positive attitude. Help students gain a better understanding of the book so they can really enjoy reading it. Test critical and creative thinking skills by conducting a character study of Willy Wonka before even reading about him. Gain a sense of Charlie's hardships with tailored true or false questions. Discuss the pros and cons of having a No-Gum policy at school before getting together for a class debate. Invent your own chocolate bar with a list of ingredients, a slogan and commercial. 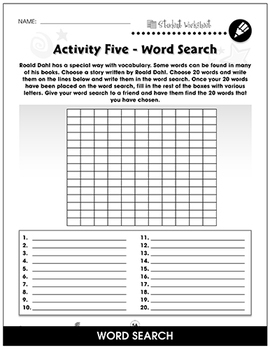 Create an acrostic poem puzzle for a partner to solve using unique words from the book. All of our content meets your State Standards and are written to Bloom's Taxonomy.